I'm trying to set up an application from a third party, which requires a supporting website hosted in my local IIS. I've created a website exactly as explained in their install guide, but am having some problems, and would like to see what the IIS log has to say. Embarrassingly enough, the problem is I can't find the log files! 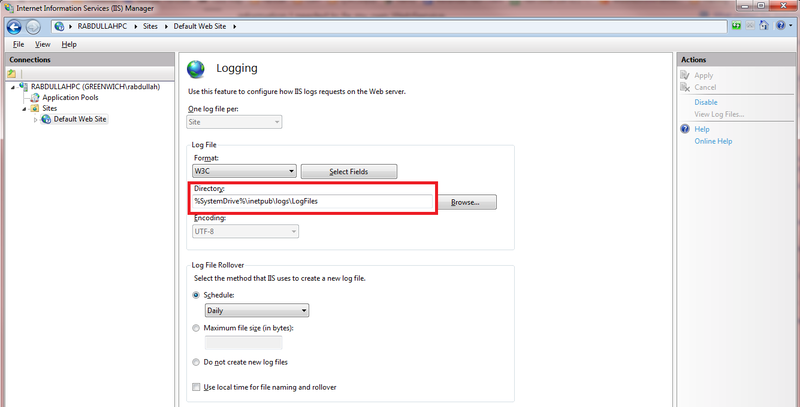 So my question is: Where does IIS7 store logs by default? Which will contain similar log files that only represents errors. I'm adding this answer because after researching the web, I ended up at this answer but still didn't know which subfolder of the IIS logs folder to look in. If your server has multiple websites, you will need to know the IIS ID for the site. An easy way to get this in IIS is to simply click on the Sites folder in the left panel. The ID for each site is shown in the right panel. Answer by @jishi tells where the logs are by default. Answer by @Rafid explains how to find actual location (maybe not default). Answer by @Bergius gives a programmatic way to find the log folder location for a specific website, taking ID into account, without using IIS. Yes you can enter this into the explorer address bar it'll work. To be 100% sure, you need to look at the logging for the web site in IIS. 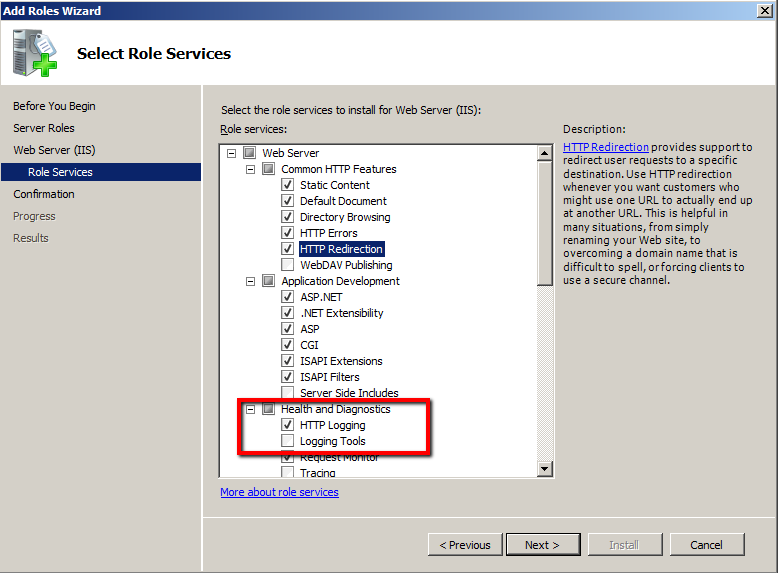 EDIT: As pointed out by Andy in the comments below you need to ensure when installing IIS that you elected to enable HTTP logging, otherwise HTTP logging won't be available. if you just need the info for yourself and don't mind parsing the result in your brain :). For bonus points, append | ii to the first command to open in Explorer, or | gci to list the contents of the folder. Enabling Tracing may be a better alternative to the Windows Event Log. This gave me the information I needed to fix my own WebService. I have found the IIS Log files at the following location. which help to fix my issue. Not the answer you're looking for? Browse other questions tagged iis logging iis-7 diagnostics or ask your own question. IIS7 + PHP5.3.16 + Plesk how to get detailed info for 500 error? What user runs by default - HTTP Error 500.0 in IIS 10? Where should a WinForm app keep its logs? Where does IIS intend developers to put additional websites? Where is the Docker daemon log? Where can I find the logs for my Electron app in production?